The Lindner Center of HOPE hosted three open house events earlier this month to celebrate the Mason, Ohio mental health center’s expansion and the public launch of its $15 million comprehensive campaign, Advancing HOPE. 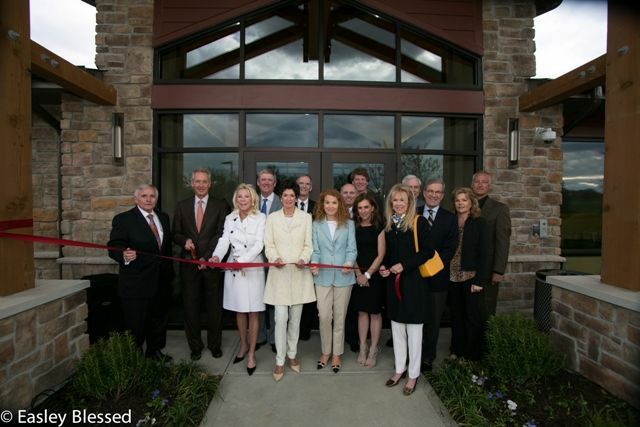 In August 2008, Lindner Center of HOPE opened to patients and families struggling with mental illness. Since opening, more than 23,000 patients have received mental health and addiction services. In its more than 5 years since opening, the Center’s Sibcy House, comprehensive diagnostic and intensive treatment program, has drawn hundreds of patients from all over the country and around the world, while serving many local and regional families. Lindner Center of HOPE broke ground in August 2013 on a 15,816 sq. ft. addition to the Mason facility, in order to allow Sibcy House to relocate into a new and enhanced therapeutic environment. The ultimate plan for the relocation of Sibcy House is to open up space within the current hospital building to add a new adolescent comprehensive diagnostic and intensive treatment program for patients ages 11 to 17. This adolescent program is scheduled to open May 12, 2014. Both Sibcy House and the new adolescent program specialize in intensive assessment and treatment of patients with complex mental health and addiction issues during a short-term residential treatment stay. A multi-disciplinary team is assigned to each patient and works to provide diagnostic clarity and clinical skills development to help them achieve treatment success. With Sibcy’s success, the adolescent program has been a steady request coming from Lindner Center of HOPE constituencies. The $15 million Advancing HOPE fundraising campaign co-chaired by Sharon Frisbie and Pam Sibcy, publicly kicked off on May 1. Members of Lindner Center of HOPE’s board of directors and campaign cabinet have raised $9.2 million dollars during a quiet phase, with the intention of supporting facility and program enhancement, strengthening the Center’s endowment to allow for the continued growth of the outstanding research taking place, as well as boost on-going funds for the Center. Another key goal of campaign efforts is to increase the number of people that know and support the Center, spreading the message about the amazing work that is taking place. Open House Events May 1 through 3 offered opportunities to various constituencies to tour the new Sibcy House and learn more about the new adolescent comprehensive diagnostic and intensive treatment program. Thursday, May 1, was the Grand Opening and Public Campaign Kick Off Celebration for Lindner Center of HOPE 125 VIPs, supporters, and local dignitaries. This event featured a ribbon cutting and recognition of Sue and Bill Butler. Mrs. and Mr. Butler serve on the Advancing HOPE campaign cabinet and Mr. Butler is a member of the Center’s Board of Directors. Mr. Butler, President and CEO of Corporex Companies, is experienced in building commercial buildings and residential buildings. He is dedicated to community service and early on, when planning began for new construction at Lindner Center of HOPE, Mr. Butler offered to take charge. Mr. Butler was recognized for giving his time and talent to assist with the design of the building and offering cost-saving ideas. Friday, May 2 was a Collaborative Partners Open House for referrers and potential referrers to Lindner Center of HOPE. This event hosted more than 40 professionals who refer patients to mental health services. The evening included tours with informal presentations in different areas of the new Sibcy House. Saturday, May 3 was a Public Open House for all interested community members. This event welcomed more than 50 members of the public, providing an opportunity to tour the new Sibcy House and learn more about Sibcy and the new adolescent diagnostic and intensive treatment program. The new Sibcy House is open for admissions and the Adolescent Comprehensive Diagnostic Assessment and Intensive Treatment Program will open May 12.